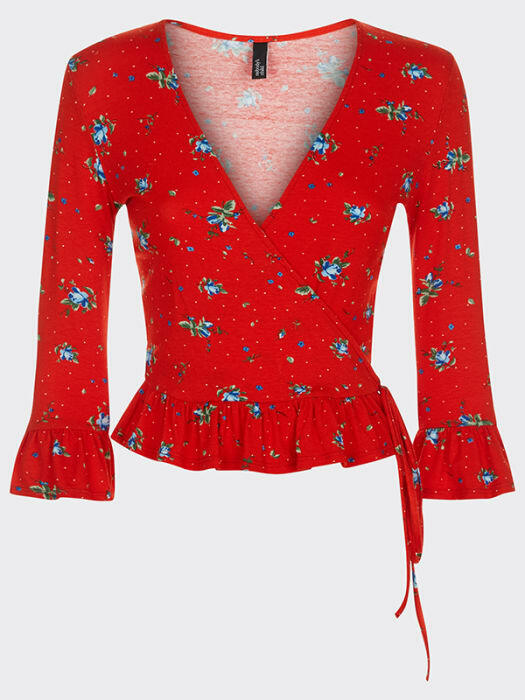 Summer might be clocking out, but that’s no reason to give colour the slip! 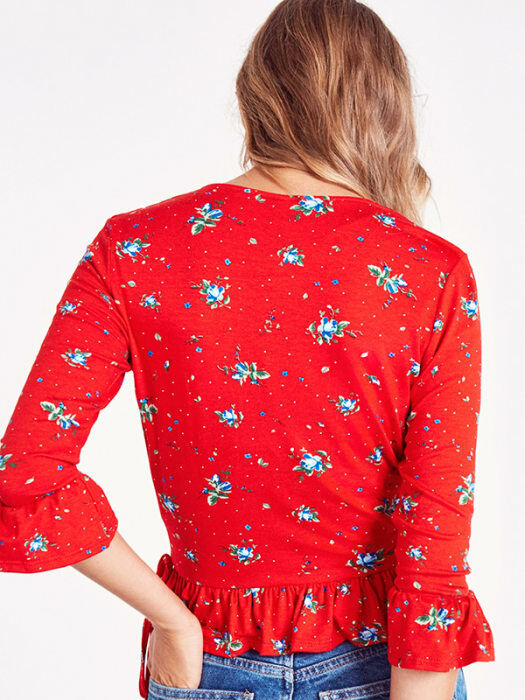 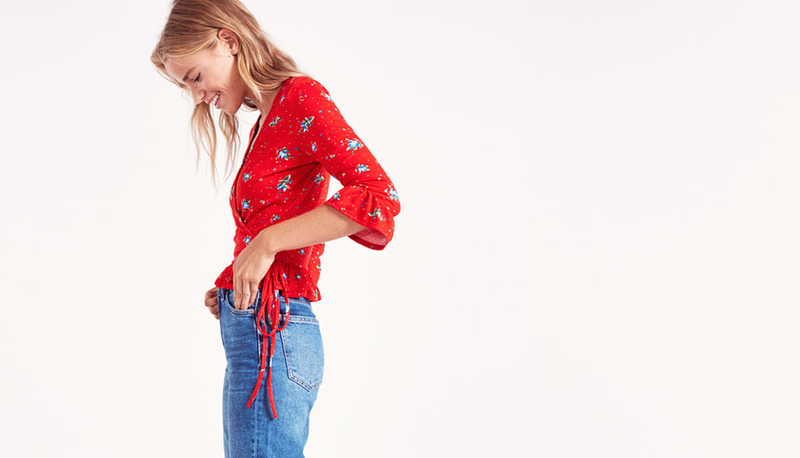 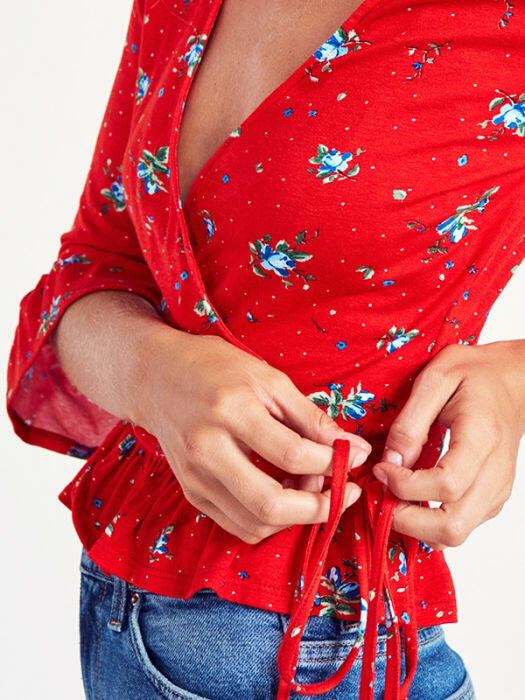 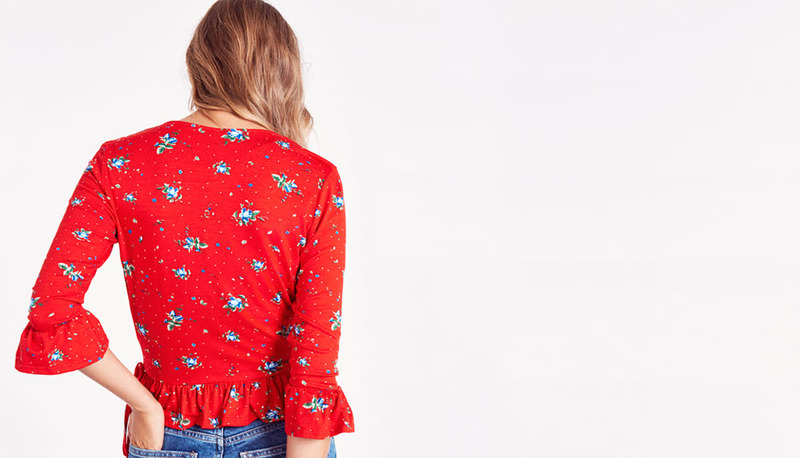 Instead, set saturation to max with this scarlet-red Ditsy Wrap Top. 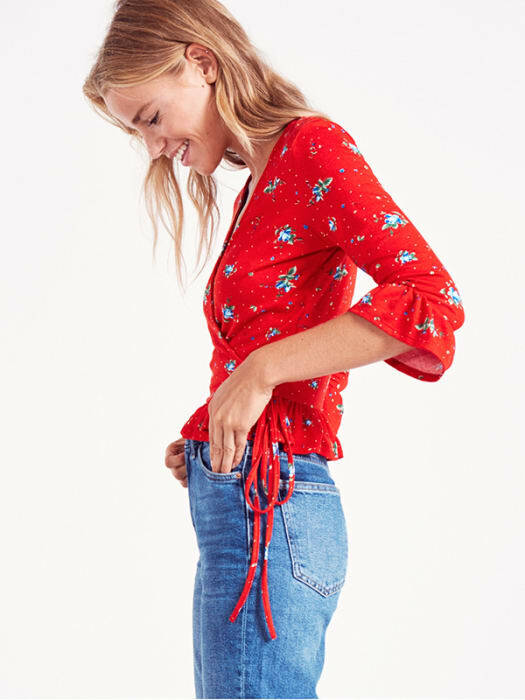 Featuring a fold-over front with drawstring detail, layer the frilly hemline over day-to-day denim for an instant style uplift.